They say e au le inailau a tina ma tama’ita’i. Fiame Naomi Mata’afa is a living testimony of that in Samoa – and around the world. In a year when the ruling Human Rights Protection Party (H.R.P.P) celebrated another victory, the highlight without a doubt was the election of Fiame as Deputy Prime Minister. As the first female member of Cabinet, a position she has held for 15 years, and on 19 March 2016, she made history when she was sworn in as Samoa’s first female Deputy Prime Minister. It was a proud moment for Samoa, especially after making headlines around the world for its efforts to increase the number of women in Parliament. Fiame has advocated tirelessly for greater participation of women in Parliament. 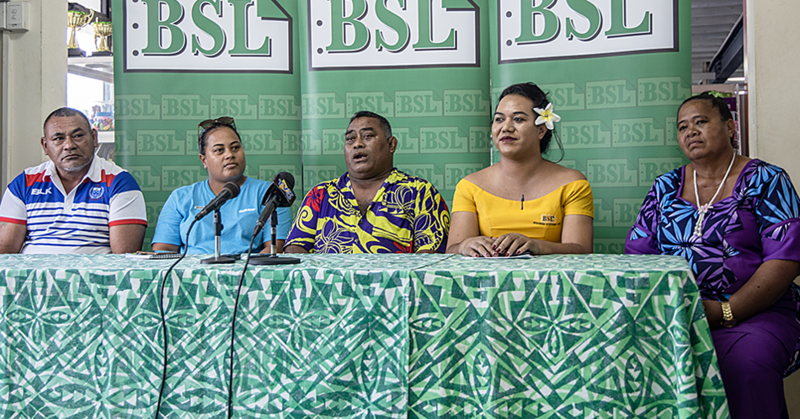 “I think it’s significant given that not only Samoa but the Pacific has been trying to increase women’s participation in public life and in politics,” she said about her appointment during a recent interview with Pacific Beat. But she is not just the Deputy Prime Minister. She is also the present Minister of Natural, Resources and Environment, a portfolio that holds great importance for Samoa with millions of dollars promised by bigger nations to help fight climate change. Experience that has already come in handy given that the biggest challenge of our time is climate change. 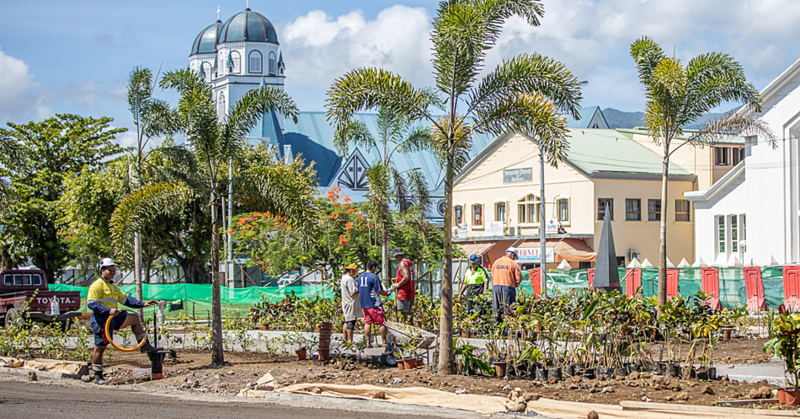 Having been the voice of the Pacific during the recent COP meeting in Cancun Mexico, one of the biggest achievements in as far as Samoa is concerned happened right here in Apia a few weeks ago. It was a US$57million (T$131m) project to manage flooding and enhance climate resilience of the Vaisigano River catchment, proposed by the government, was given the green light by the Green Climate Fund (G.C.F). Of three proposals approved related to the Pacific, Samoa is involved in two. The second is a US$22million (T$50.6m) grant for a multi-country renewable energy programme with the Asian Development Bank. 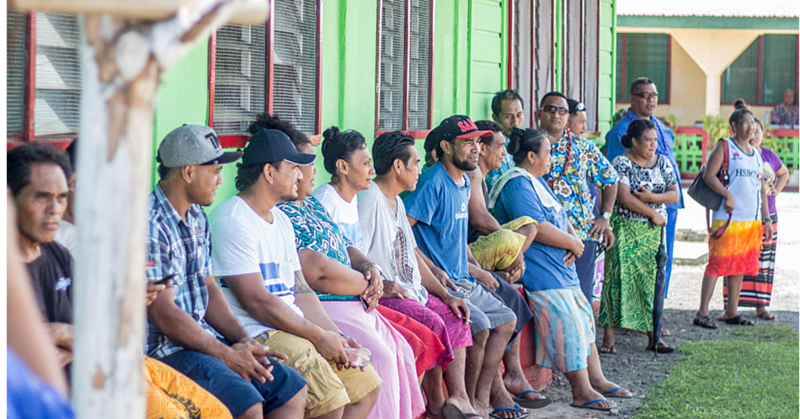 The project focuses on Cook Islands with support for Samoa, Federated States of Micronesia, Marshall Islands, Papua New Guinea, and Tonga. It could be said that with her lineage and background, it was inevitable that she would enter politics and be a leader. Her father, Fiame Mata'afa Faumuina Mulinu’u II, a paramount chief, was the first Prime Minister of Samoa. Her mother, Laulu Fetauimalemau Mata'afa, was a diplomat, educator and politician. Her maternal grandfather, Le Mamea Matatumua Ata was one of the framers of Samoa’s Constitution. And it was while she was studying at university in New Zealand when she was recalled by her 'aiga (extended family) to take up one of her father's matai titles, Fiame from Lotofaga. Her mother, Laulu Fetaui, had entered Parliament in 1975 from the constituency of Lotofaga, following her husband's death. On Laulu Fetaui's retirement from politics Fiame Naomi contested the seat and was elected. 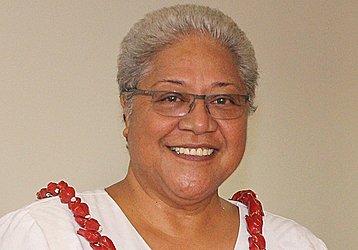 She has represented Samoa and the Pacific Islands on the Executive Board of U.N.E.S.C.O and the Board of Governors of the Commonwealth of Learning. She has served as the Pro-Chancellor and Chair of the University of the South Pacific (U.S.P) and also the Pacific Regional representative on the Commonwealth Women Parliamentarians (C.W.P) Steering Committee of the Commonwealth Parliamentarians’ Association. She maintains strong ties with the Samoa National Council of Women (N.C.W) and the Inailau Women’s Leadership Network, both of which she has been a longstanding member. Previously, Fiame convened and led the Women in Leadership Advocacy (WinLA), a network of women Parliamentarians, Chief Executive Officers and Public Service Commissioners in Samoa. As a voice of intelligence, reason and cooperation she has navigated the often stormy waters of the Human Rights Protection Party (H.R.P.P.) whilst earning the respect from the Prime Minister and the majority of the party members. Her drive for the development of Samoa, her knowledge, honesty and ability to stay clear of party factions and her self-deprecating humour have stood her in good stead throughout her long career in politics. Her ability as a Chair to achieve the best objectives at crucial times whilst still observing the fa’aSamoa and considering differing points of view has evoked admiration from those who have worked with her. As the Minister of Education, some of the achievements she is particularly proud of the establishment of district schools, the introduction of Samoan as the language of introduction and the rationalisation of the tertiary sector. “Only a few were able to get to the higher classes but now everyone can achieve the full 13 years – it’s that equity of access,” she said. The trick, said Fiame is to set goals and achieve them as you move ahead. One of the people who was on the University Council with her was Emeritus Professor, R Gerard Ward of the Australian National University, Canberra. He had this to say: “In her role as Minister of Education Sports and Culture and Chair of N.U.S. from 1985-2002, the University went through major developments, expansion and increased capacity and quality. Her role in fostering these changes was crucial. Additional information drawn from Wikipedia, the Government of Samoa website and an article by Lanuola Tusani Tupufia from the Samoa Observer.